Suddenly you’ve got house guests that you weren’t planning for, or you realize that bathroom has never actually been cleaned in all the time you’ve lived there. It’s time to deep clean that bathroom – and fast. How can you get it done quickly but also leave it sparkling clean? We’re here to help! Turn on the lights, open the window if you have one, and really take a good look at the bathroom in question. You first have to see every inch of the place to be sure you get it absolutely clean. Time & Tunes. That’s right – a key part of deep cleaning any bathroom is the motivation to do it, so crank your very favorite playlist, or an old album you haven’t listened to in years, or a brand new podcast. Then set a timer for an interval that makes sense for you and the size of your bathroom – it might be 10, 15, or 30 minutes! Setting a timer helps you stay productive, and then you can reward yourself when the time is up! Use a few short timers if necessary. Start the Heavy Duty. Spray your shower & tub with all-purpose bathroom cleaner and let it stand for 5-10 minutes to break down soap scum. Coat your toilet bowl with toilet bowl cleaner and allow it to soak at the same time. Spray & Scrub. Using your all purpose bathroom cleaner, or a mix of water & vinegar, spray down all the surfaces in the bathroom and wipe them clean. And take this moment to finish up your bathtub and toilet. Glass & Chrome. Using Windex or a streak-free cleaner carefully spray and wipe your mirror, sink and tub fixtures, and any other chrome or shiny elements in the bathroom. Don’t forget to wipe down the door as well! Sweep & Trash. Using a handled brush or a broom, sweep the floor carefully, paying attention to around the toiled and the edge of the tub or shower. Empty into the trash, gather up any remaining trash from around the bathroom and empty the bin, replacing with a fresh liner. Plugin or Spray. Finish with a clean and fresh scent that says “this bathroom is clean!” and you’ll definitely impress any guests – even your mother-in-law! 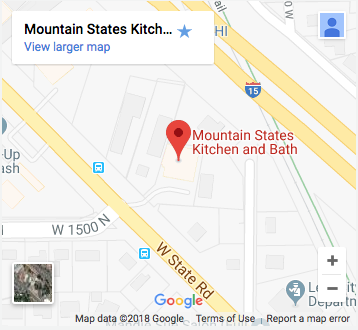 PreviousPrevious post:How To Naturally Clean & Polish Wood CabinetsNextNext post:Why Choose Mountain States Kitchen and Bath?